Over the past few months, both the Superannuation Productivity Commission and the Financial Services Royal Commission have recommended changes to the default super system. If implemented, the changes will weaken the nexus between super and the employer and strengthen the link between the individual and their money. While few are questioning the need to make changes to the default system, the Productivity Commission’s “best in show” short list recommendation, has attracted intense criticism from industry. To progress the debate, CoreData has formulated a customer centric methodology for identifying the ten ‘best in show’ default funds in Australia, and used consumer research to rank the funds. The problem that we’re seeking to solve for is clear. There is a proliferation of multiple accounts held by disengaged super fund members, with resultant waste calculated by the Productivity Commission at around $2.6 billion per year. That’s an unconscionable situation because that wasted money is paid by members to super funds and insurance companies; institutions that are legally and morally required to act in their customers’ best interests. When it comes to the “best in show” selection criteria, most of the industry concern has been about the perils of using investment performance, with arguments that it may encourage the wrong trustee behaviours, like short-termism, excessive risk-taking and herding. But by focusing on investment performance alone, critics are overplaying their hands. The Productivity Commission suggested that, along with investment performance, considerations may include governance, value for money, innovation, member centricity, as well as other service-based factors like advice and administration efficiency. So, what if we take a broader view as the Productivity Commission has suggested? The Productivity Commission is seeking a methodology for how super fund members should make decisions. But what if we turn our minds to applying a selection methodology that reflects the way an engaged member actually makes decisions? That’s what CoreData has done. We undertook research to understand consumer perceptions of the 26 largest super funds by size of membership. We conducted the research over two months in December 2018 and January 2019, and the online survey sampled 2,370 super fund members. We used advanced statistical analysis to derive how engaged super fund members choose a fund. What we learned is that the five main choice drivers make up more than 85 per cent of the purchase decision. And that those main choice drivers largely reflect the Productivity Commission’s ’best in show’ selection criteria. The five main consumer choice drivers of super funds are: competitive fees (26 per cent); trustworthiness (18.5 per cent); customer experience (15.6 per cent); stability and governance (13 per cent); and investment performance (12.5 per cent). CoreData shared and discussed the methodology and results with super fund executives at recent round table events in Melbourne and Sydney. A number of observations were made by participants. Like, even with twelve, the short list is way too short. That since the methodology focused on consumer perceptions, the funds still cluster because they’re largely undifferentiated. And that while few would dispute those on the list are reputable, there are other well-regarded and successful funds that have not made the list. While 11 retail super funds were included in the research, only two made the best in show list. In general, retail super funds scored well on customer experience, but suffered with poor perceptions of trust, governance, and fees. Super funds are still heavily reliant on employers for their growth. Currently seven in 10 super fund members simply join their employer’s default fund. As APRA has identified, the new requirement for consolidation of small inactive accounts may substantially change the economics and sustainability of many super funds. The possibility of losing access to employers owing to changes to the default system exacerbates the operational challenge and presents a further risk to sustainability. Industry funds in particular would be prudent to look beyond the employer for growth. Most have a trust platform, competitive fees and a body of advocates within their membership base who are willing to recommend them. Of course, any active choice strategy will also require them to differentiate and enhance their customer experience. For most industry funds that’s a new way of thinking and it will require different capabilities. APRA is right. Now is not the time for complacency. Jason is Director of CoreData Consulting. 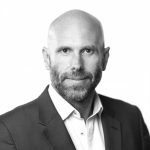 He has over twenty years experience in financial services, from financial advice, to dealer group leadership, marketing and product management. He is passionate about taking customer and market insights and turning them into actionable strategies for transformational business growth.